Find out when you can get your hands on the newest chapter. It's taken a while, but Sega finally got around to announcing release dates for Sonic the Hedgehog 4: Episode 2, though when it comes to the mobile edition, it's more like release periods. Here's the breakdown. 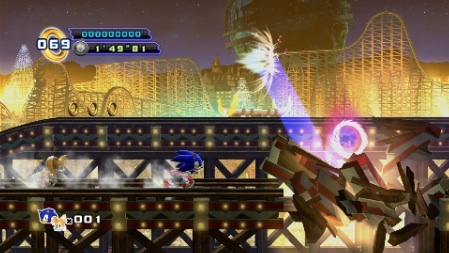 PlayStation 3 and Xbox 360 fans will be able to download the game May 15 and 16, respectively. From there, it gets a little vague. Apple iPhone, iPad and PC users will receive it sometime in May, while Android players can snag it in June. Finally, Windows Phone gamers must wait until July. On a somewhat related note, people who downloaded Sonic the Hedgehog: Episode 1 will unlock Metal Sonic the moment they buy Episode 2. Find out what we thought of the game here.